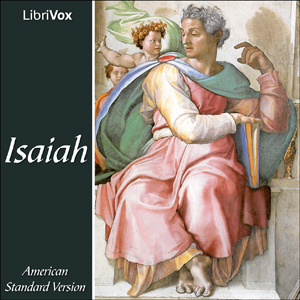 "The Book of Isaiah (Hebrew: ??? ??????) is a book of the Bible traditionally attributed to the Prophet Isaiah, who lived in the second half of the 8th century BC. In the first 39 chapters, Isaiah prophesies doom for a sinful Judah and for all the nations of the world that oppose God. The last 27 chapters prophesy the restoration of the nation of Israel. This section includes the Songs of the Suffering Servant, four separate passages that Christians believe prefigure the coming of Jesus Christ, and which are otherwise traditionally thought to refer to the nation of Israel. This second of the book's two major sections also includes prophecies of a new creation in God's glorious future kingdom."